Broadbent & Associates, Inc. (Broadbent) selected APTwater’s PulseOx® AOP technology for the remediation of gasoline release at a former car dealership in Las Vegas, Nevada. 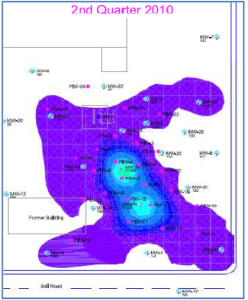 Pilot testing at the site successfully demonstrated >75% reduction in contaminated area and source area MTBE concentrations in three months. Based on these results, a full-scale PulseOx system capable of delivering up to 25 lb/day ozone was designed and deployed to the site. Overall, the PulseOx remediation project is expected to fully remediate the entire contaminant plume in 12-18 months allowing redevelopment of the property. In 1986 a car dealership opened for business on a site near downtown Las Vegas, Nevada. By the mid 1990’s the City’s rapid growth had transformed the surrounding area and increased demand for residential real estate. In 1999 the owner sold and relocated the car dealership in order to redevelop the 12-acre property into a residential high-rise condominium complex. In 2002-2003 during the early phases of redevelopment project an environmental assessment of the site identified a contaminant release from former vehicle fueling operations. Subsequent investigations revealed a BTEX and MTBE groundwater plume extending over approximately 1.5 acres of the site. MTBE concentrations of up to 42,000 ug/l were found near the former source area with an MTBE plume extending some 200 feet in most directions. In 2007 Broadbent completed a site assessment and remedial design for the project. 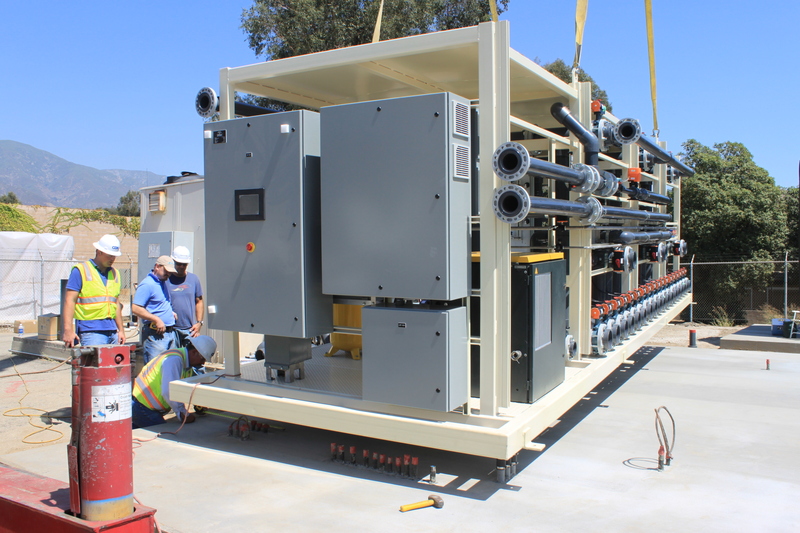 A number of alternatives were evaluated including conventional pump & treat, air stripping with carbon adsorption, soil vapor extraction (SVE), insitu chemical oxidation (ISCO), as well as natural attenuation. 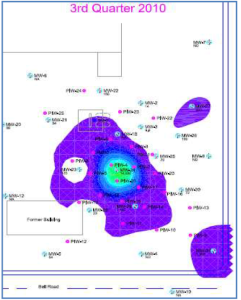 The extent of MTBE plume was a limiting factor in the remedial selection as conventional alternatives proved costly due to the potential for long-term remediation and delays to project construction. 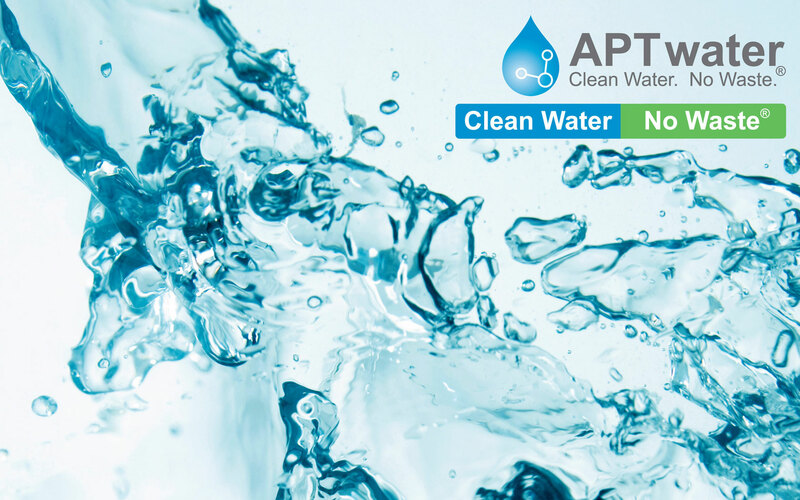 APTwater’s PulseOx® AOP process was identified as an excellent alternative for insitu chemical oxidation of both BTEX and MTBE. Based on powerful ozone + hydrogen peroxide chemistry, the system’s Advanced Oxidation Process (AOP) chemistry produces the hydroxyl radical (OH●) directly in the subsurface. This provides 35-50% more powerful oxidation than ozone or peroxide-only systems. As a result, MTBE and BTEX compounds are rapidly destroyed to water and dissolved CO2 via an oxidative chain-reaction. A byproduct of the oxidation reaction is a tremendous increase in groundwater dissolved oxygen (DO) content. Overall, the PulseOx process effectively treats source area ‘hot-spots’ while also promoting natural attenuation across the site. The net result is efficient contaminant destruction and reduced clean-up times. 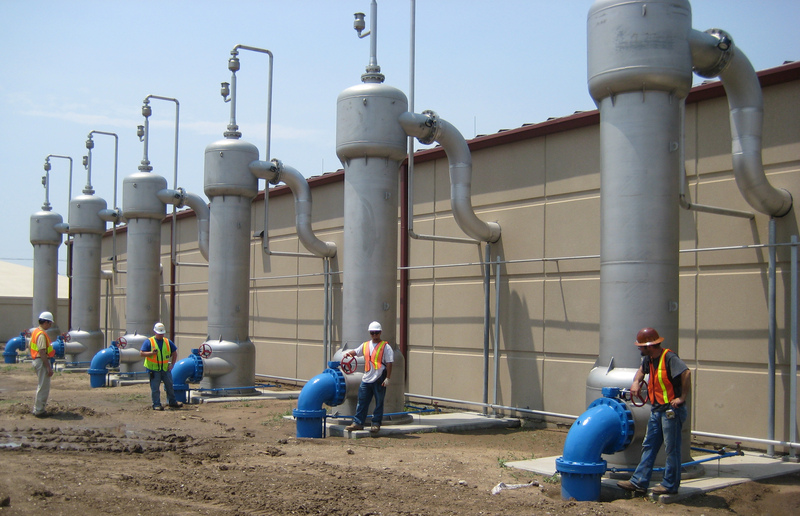 Based on faster clean-up and more favorable economics, Broadbent selected the PulseOx process for remediation of the site. The alternative was approved by the Nevada Department of Environmental Protection (NDEP) subject to confirmatory pilot testing. Pilot testing was conducted in the fall of 2009 using a trailermounted PulseOx P-1000 unit capable of delivering 15 lb/day of ozone into eight injection points. Figure. Interior view of P-1500 unit showing automatic ozone distribution manifold. The testing results showed a significant decrease in concentrations of MTBE and BTEX across the site. 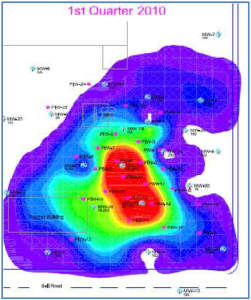 Within three months of testing the size of the contaminant plume was reduced by nearly 75%, along with reductions in source area MTBE concentration from approximately 57,000 mg/l to below 15,000 mg/l. 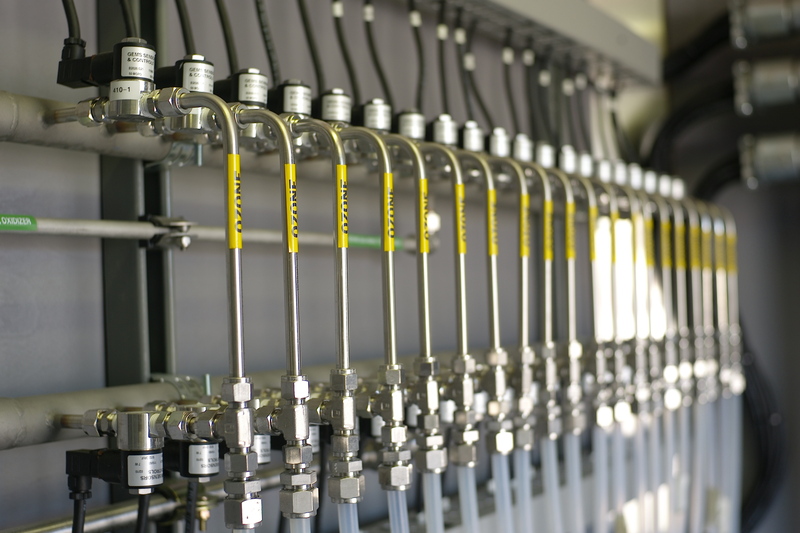 Based on successful pilot testing, Broadbent & Associates, Inc. installed a PulseOx P-1500 system in the summer of 2010. The new system can deliver up to 25 lb/day of ozone and 75 gal/day of hydrogen peroxide into 20 injection points across the site. Over time new injection points will be sequentially relocated or added to fully remediate the BTEX and MTBE contaminant plume. 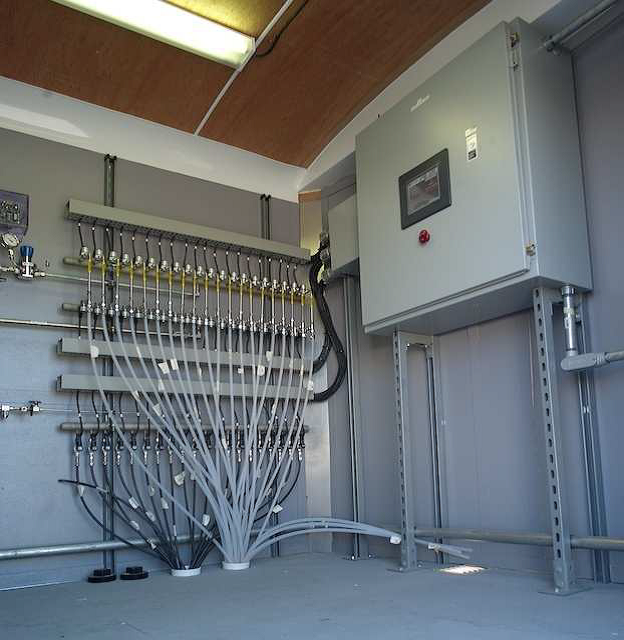 To accommodate this plan the completely automate d PulseOx system is housed in a trailer-mounted enclosure to facilitate unattended operation and easy relocation as remediation progresses. As a result of the project, site remediation is expected to be complete within 12-18 months of startup so that redevelopment construction can proceed on schedule.